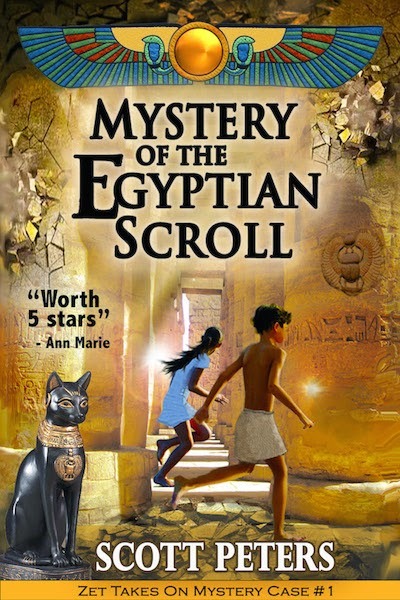 Today's hieroglyphic is the letter "G"
Zet: "It's time for another letter, Kat." Kat: "You mean the cobra?" Zet: Grins. "Yep. You sure you can handle it?" Kat: "Just watch me. And by the way, there are two symbols for the letter G. Are you sure you can handle that, big brother?" 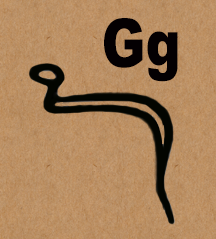 Kat says: "The first symbol for the Letter G is the cobra. It's pronounced as "j" like in GYRATE." how a cobra moves across the sand. 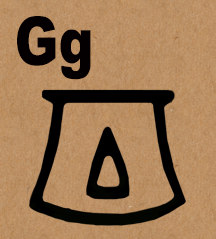 Kat says: The second symbol for the Letter G is a cooking pot. It's pronounced "g" as in GRAVY. make gravy in a cook pot!